Tap the 3-dot menu icon on the top right, then More options, and then Edit original scan shots. Left: a list of all the scanned shots you took. 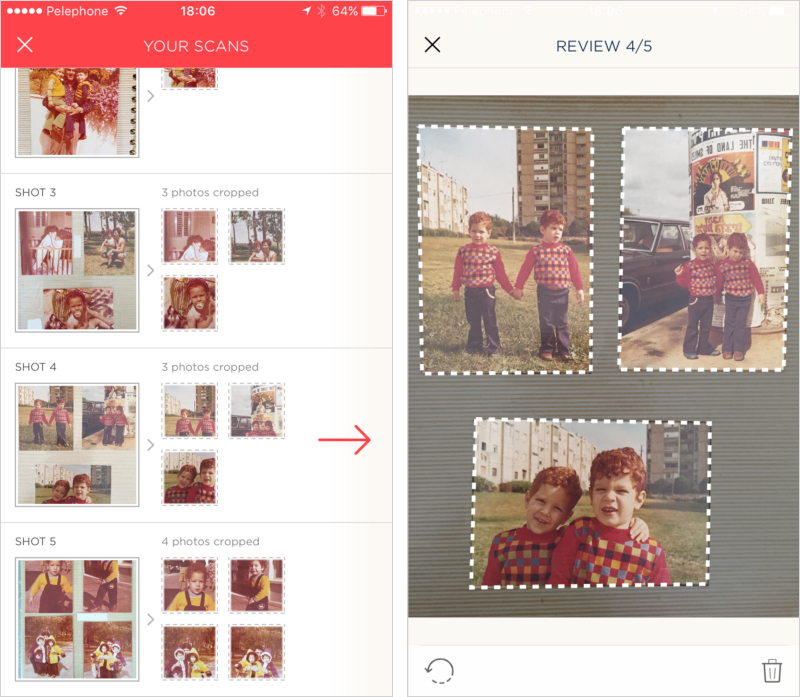 Right: See the dashed line around each photo that was found, scanned and cropped by the app. Left: Tap a missing photo to add it. 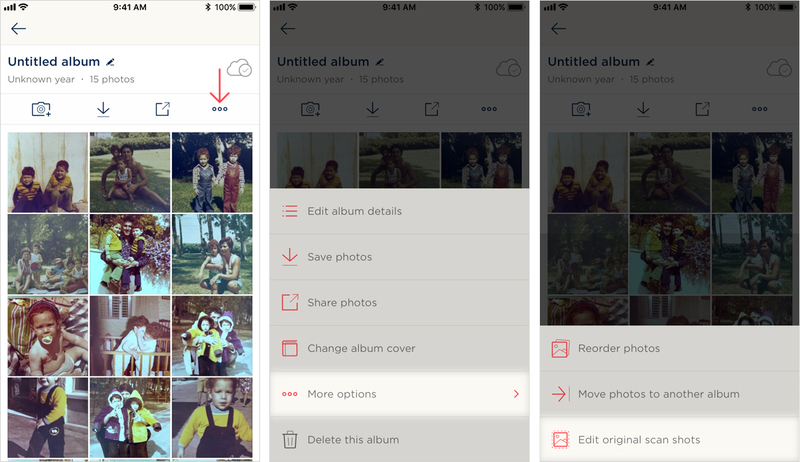 Right: Tap the check sign icon on the bottom menu to save the photo and and add it to the album with all the rest. 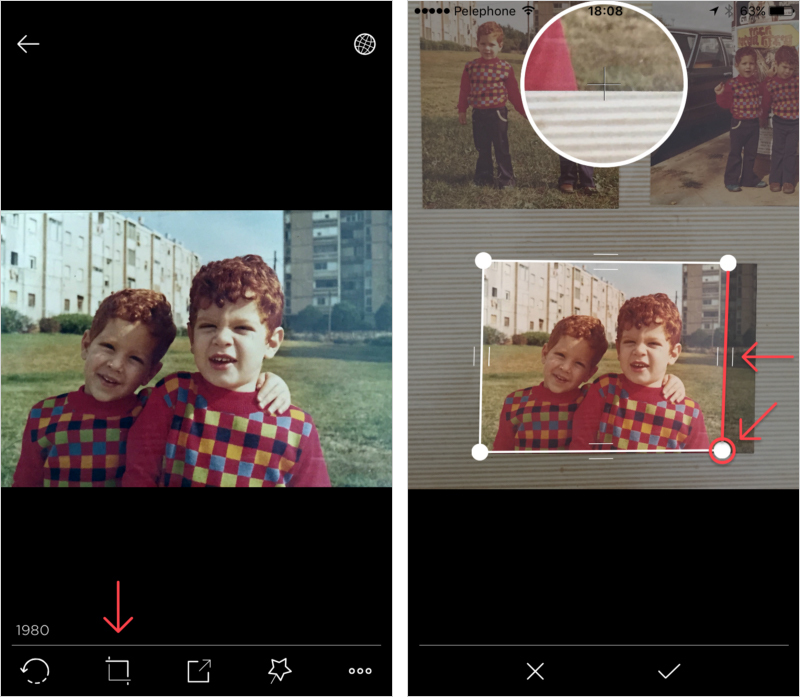 Left: tap the crop icon to enter its crop edit mode. Right: While dragging the round knobs you will see a zoomed in bubble of the affected photo corner . It will show you real time preview of your manual cropping. Drag the ribs to adjust the bounding box for cropping. In a case where two photos are marked as one, start by fitting the cropping bounds to just one of them first. 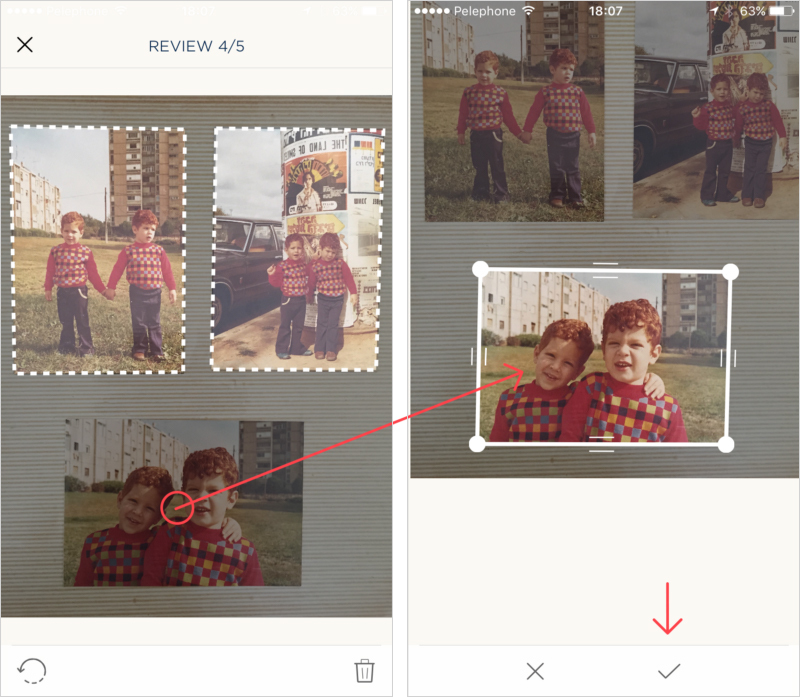 Then tap the center of the second photo to mark and manually crop it as well.